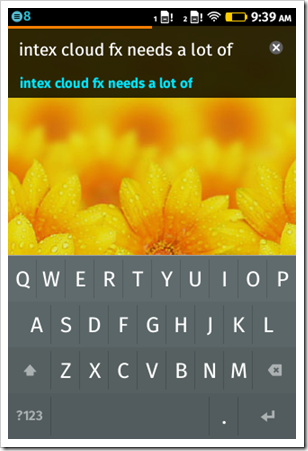 Cloud FX is Intex’s first phone run to run on the highly awaited Firefox OS. 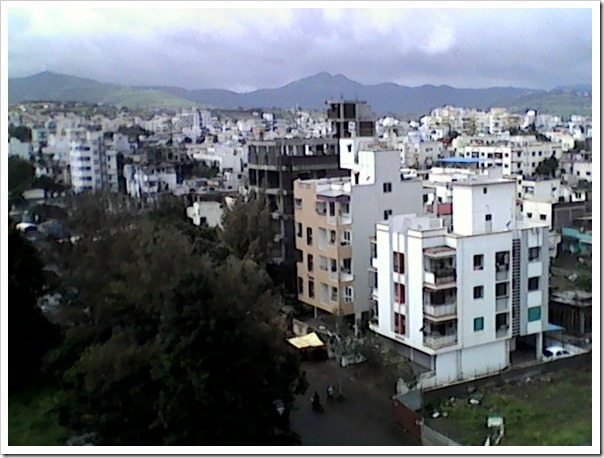 Just like the masses, we too were very excited about the new Firefox OS. 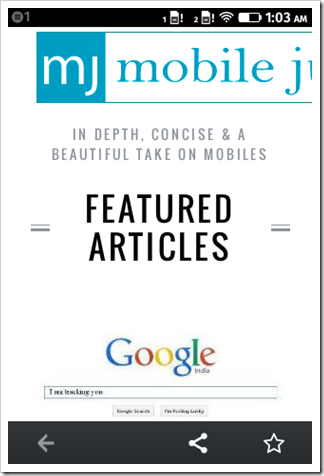 So, to satiate our curiosity and help you make an informed buying decision we bought the phone from Snapdeal, used for a few days, and are now publishing the results of our findings. Straight out of the box, we were quite excited to see what this cheapest smartphone in India could do. Initial few swypes at the phone and we got a good impression. 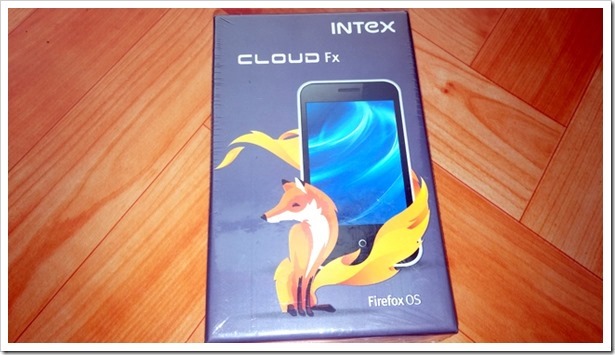 However, when we used for couple of days, the Intex Cloud FX was not anything that we are expecting it to be. So hold tight and read till the end. It is made out of plastic and has a meshed pattern on the back panel. This pattern differentiates it from the rest of the crowd. 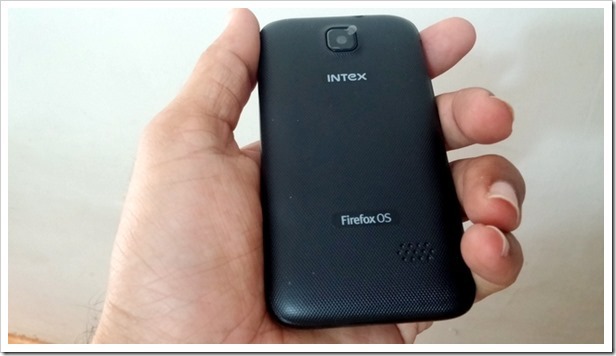 The Intex logo is placed at the centre and the Firefox branding logo is present at the bottom just above the loudspeaker grille. The micro USB port and volume rocker keys are present on the left side of the phone whereas the 3.5 mm audio jack, and power button are flanked by the top side of the phone. Capacitive home/multi-tasking non back-lit key is located just below the screen and is represented by a white circular symbol. Being a small phone having a 3.5 inch LCD display it feels pretty sturdy, and I’m sure that it will survive a lot of drops. Normal users shouldn’t have any complaint about the placement of the buttons as every button is accessible with a single hand. Screenshots can be taken by simultaneously pressing home key and power button which makes it impossible to take with a single hand. But then again, first time smartphone users, won’t be very much interested in taking screenshots. Hence it wouldn’t be much of an issue. 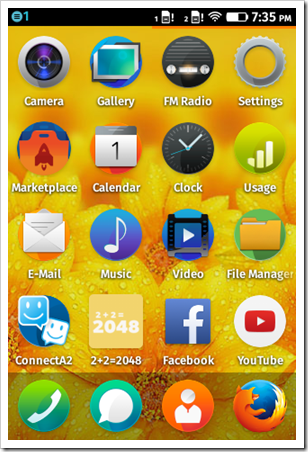 The Firefox OS UI is very much similar to the iOS. There are no back buttons and you have to rely on in-app back buttons for going to the previous menu/page. The best part about the Firefox is that it allows the user a tight control over it. You can select if the file manager can access files on the memory card and also control permissions granted to various apps. The home button doubles up as a multi-tasking button. Long press it to see the list of currently open processes. Drag any currently running app towards the top to terminate it. 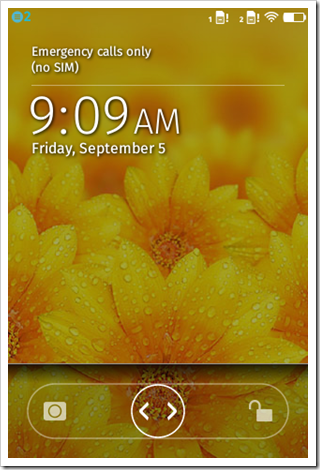 The lock screen can be configured to be unlocked using a swipe gesture similar to iOS. You can either swipe it towards camera icon, or the unlock icon to do the corresponding operations. 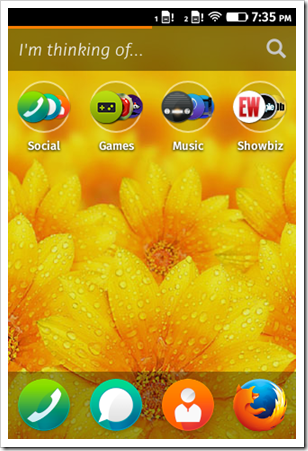 The home screen has the system search bar and also has different folder for games, social, showbiz, and multimedia. These folders contain shortcuts to many useful websites like IMDB, Spotify, YouTube, gaana.com, etc. The game folders will show up icons for various internet based games. Swiping the home screen towards the left will bring up the menu showing installed apps and settings, just like the iOS. It doesn’t support WhatsApp at the moment, but you can use send messages via WhatsApp server through a pre-installed app called ConnectA2. The Intex Cloud FX packs a 3.5 inch capacitive LCD HVGA display bearing a resolution of 320×480 pixels. This makes the pixel density stand at 165 ppi which is not bad for a phone at this price tag. The default app icons will give the feeling that the display produces good colors but you will soon realize that it doesn’t have an acceptable color reproduction when you watch a video or two. Expecting a sub Rs. 2k phone to have a sharp display is foolish but we just can’t use a phone producing dull images. The phone has a very basic keyboard so don’t get your hopes too high in this department. It would be sin to expect the support for gesture typing too. In fact, it also doesn’t have any auto-correction and prediction of any kind. No, we are not joking. Even a basic feature phone has these features. Despite being based on Firefox OS, an OS created by one of the biggest internet browser company, the browsing performance is not up to the mark. It takes a hell lot of time to open web page even a on high-speed Wi-Fi connection. Forget about using it for browsing media heavy websites on a 2G data connection. Firefox! You need to work on this. The stock music player supports only mp3 audio files. 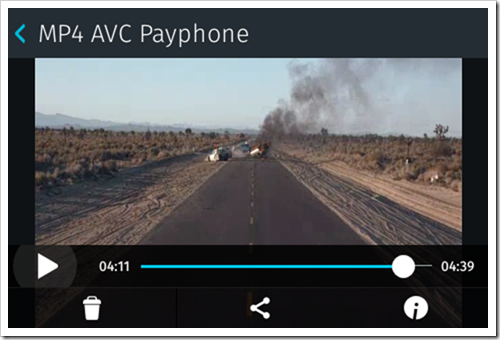 The video player can play mp4 videos up to a resolution of 480p. 360p mp4 files play just fine but the 480p versions takes some time for starting the playback, and also while seeking to a particular time frame. The audio quality is just okay and the music player has a very basic interface showing the only 3 buttons for controlling the playback- play/pause, previous, and next. 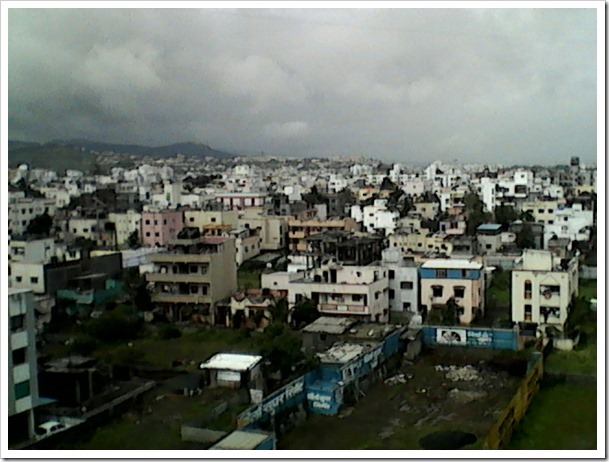 The 1600×1200 px photos shot from its 2MP camera look like if they were shot from a phone with a VGA (0.3 MP) camera. They are useless and so is the video (352×288 px @12fps) shot by it. The camera obviously doesn’t offer auto-focus but allows taking screenshots while recording a video. Intex Cloud Fx besides having a 1 GHz Spreadtrum processor feeding pixels to a lowly HVGA display doesn’t feel silky smooth. May be it’s due to lack of RAM (128 MB). You will notice the delays pretty much everywhere in the UI. You’ll observe it when you the slide down the notifications drawer, access the file manager, open camera app, take screenshots etc. It doesn’t hang but the delays are not a good sign too. Our retail unit also shut down many times on its own and then wouldn’t turn ON without removing and installing the battery again. 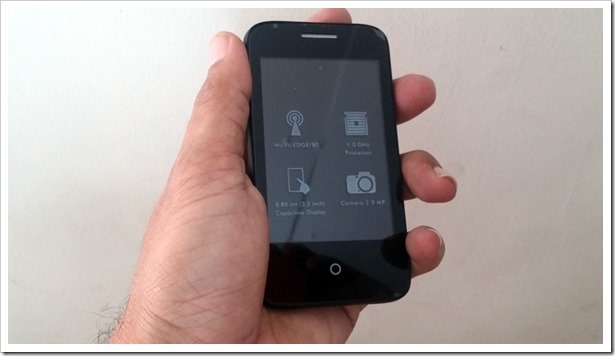 The Intex Cloud FX packs a 1250 mAh Li-ion battery. Keeping the hardware of the phone in mind, we expected it to have a decent battery backup. But, it disappointed us again! The battery drains very quickly while browsing and using apps. It compelled us into believing that the OS needs a few optimizations for improving the battery life. It supports microUSB port for charging so you can use any charger at your home with it. Intex rates its talktime and standby time to be 4h and 200h respectively. 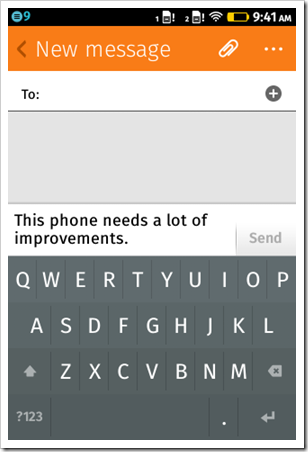 Firefox should work on improving the performance of the phones running its Firefox OS very seriously. It should also optimize the energy efficiency of the OS. Battery backup is one of the main deciding factors that the users have in mind while selecting a smartphone. 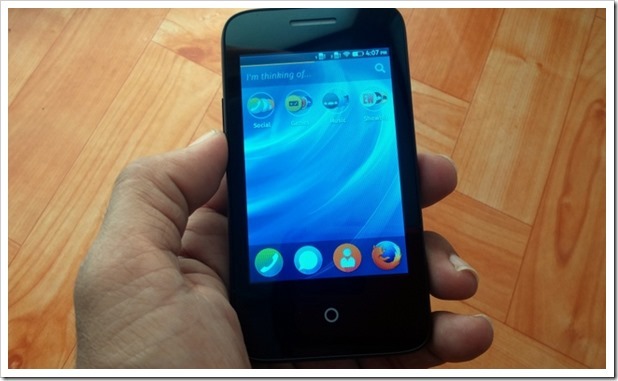 There are a few good points about the Firefox OS too. We liked how Firefox has given the app permissions control in the hands of the user, and also liked its simplicity and ease of use. But, we don’t think that you should get yourself an Intex Cloud FX phone. It is slow and also won’t even last a day on full charge even if you don’t play too much games on it. So, better wait for the next Firefox OS phone. Period. Microsoft Launches Nokia X2 in India! Why Will Anyone Buy It? THE NEW FIREFOX CLOUD VERSION BROUGHT FROM ONLINE SHOPPING DOES NOT HAVE ANY SPEAKER FACILITY. THE OTHER PERSON CAN’T HEAR WHAT YOU ARE SAYING AND YOU WILL BE PUZZLING WHETHER WHETHER THE OTHER PARTY ON THE CALL IS SPEAKING OR IS JUST MUM. SPEAKER NEEDS TO BE RECTIFIED. OTHER ASPECTS SEEMS TO BE OK.
Hi,Could you please guide me, how to turn off Home key vibration in this phone. please share it. I encountered auto shutdown after the browser almost froze at opening our webpage. This shouldn’t happen. And to be very frank, why would anyone buy a phone which can’t even browse the web properly? Even the entry level phones do it properly. Nokia Asha phones are also not very fast but they neither turn off on their own nor hang while browsing. Mozilla and Intex, both need to work on optimizing this phone asap. Strange. FFOS 1.3 offers these tools by default. Intex surely desactivate them for this first release. Bad point i agree. The Peak with 512K offers a responsive browser, but i remember that the 1.0 was not very fast too. So is it a hardware problem or just a lack of optimization ? 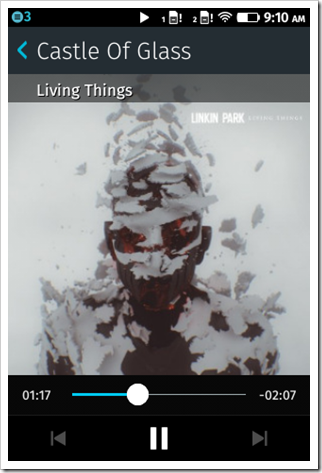 For the music player, i got three buttons too while playing, but the player itself offers many others ways to access to the files and, imho, i find the GUI well done. 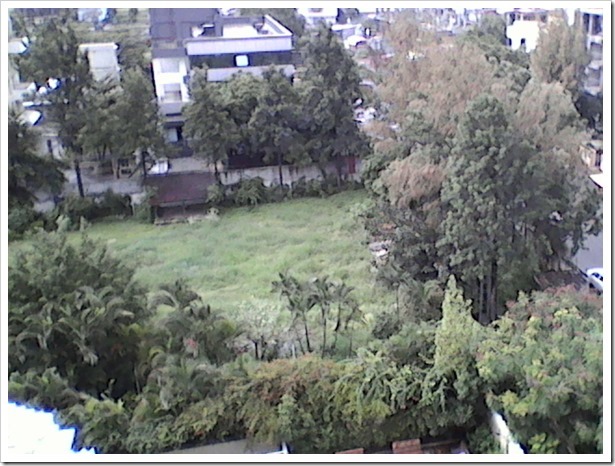 For the camera, it seems hard to wait high quality with a cheap device. FFOS 1.0 was not 100% smooth too. Today it is with the 1.3. For me that’s clearly the sign that the software is not enough optimize at this time. This will be interesting to show how the futur upgrades will improve the device. Are you really sure is does ? I mean on the Peak, it shows me the low battery very fast but in fact i can use it at least 30mn while browsing with the WiFi. I never tested how many times it works until shutdown, but the battery indicator seems not representative to me. 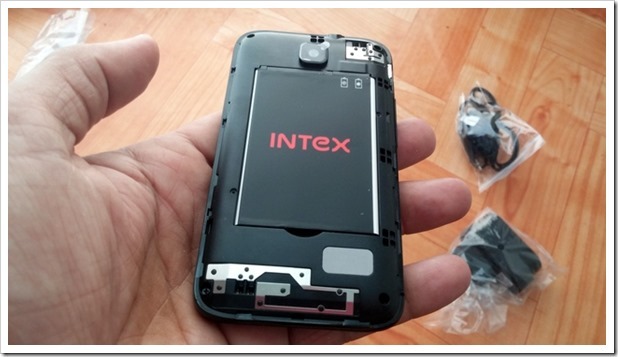 So considering this Intex phone is not for power users, for a Rs. 1999 device, i’m just disappointed by your WiFi test with the browser. We all know that 2G is slow by nature, but the first reason to buy a smartphone is the web access. I hope that Mozilla and Intex will improved this point quickly.